Since coming to Australia earlier this year, I've been trying to embrace the local culture as much as possible (read: drinking lots of locally-produced wine, rather than spending my days in art galleries). Part of this has been discovering some of the incredible home-grown labels that have been steering me away from my staples of Uniqlo, Zara and COS. From minimalist swimwear labels to creators of easy slip dresses and the best sandals you'll ever meet, here are nine Australian fashion brands you need to know. A new discovery for me, Sydney-based Alex and Trahanas creates simple but well-made linen pieces that are perfect for summer - think short sleeved shirts with matching shorts, and shirt dresses that could be thrown on over your bikini post-beach or dressed up with a bit of jewellery for dinner (speaking of which, the brand's jewellery collaboration with Louise Olsen provides the perfect accessories). Alex and Trahanas also sells Italian ceramics on its online store, so you can match your Italian linen tee with a Puglian espresso cup. Shop Alex and Trahanas here. 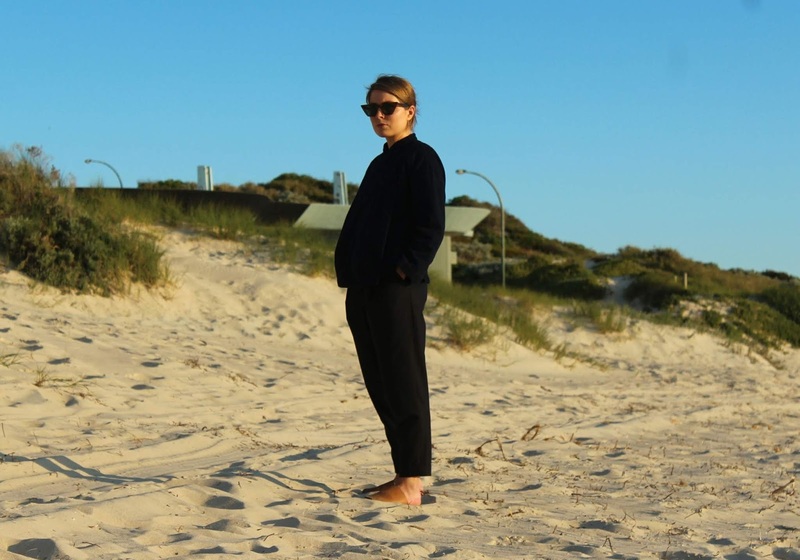 Arthur Apparel first came on my radar before coming out to Australia and I'd fantasise about arriving and spending my days in the label's handmade pieces. Expect a lot of linen, oversized lightweight trench coats and roomy jumpsuits. The colour palette is one of neutrals too, with white, terracotta and black making up the bulk of the collections (music to my ears). Assembly Label creates those easy, high-quality wardrobe staples that everyone needs yet can be seemingly so hard to find. For those of us who like our jeans straight-legged and unripped, our t-shirts plain and boxy and our swimwear well-fitted and devoid of thousands of straps and weird cut-out sections (I picked up a soft grey bikini in a sample sale recently and it's one of the best fitting pieces of swimwear I've tried in a long time), Assembly Label is a god-send. The brand does menswear too, and the stores are beautiful, calming spaces. 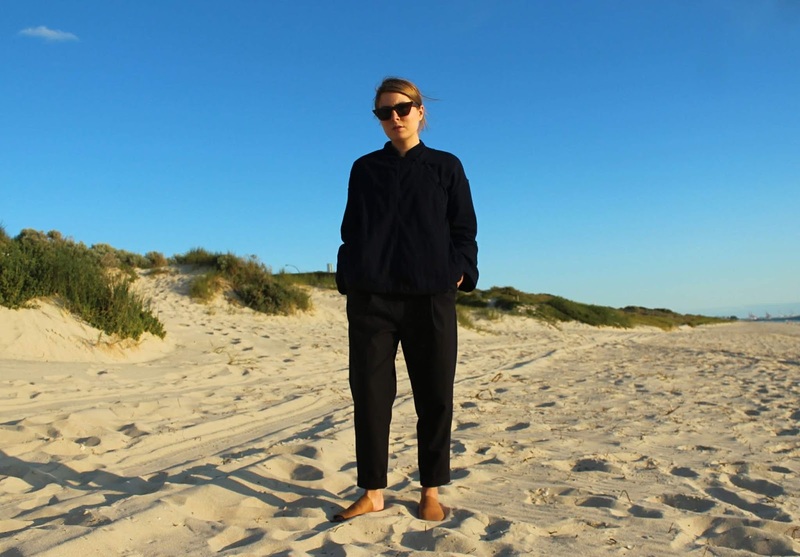 Not only does Bassike create well-constructed, laid-back basics, but this Aussie brand is also committed to sustainable manufacturing. 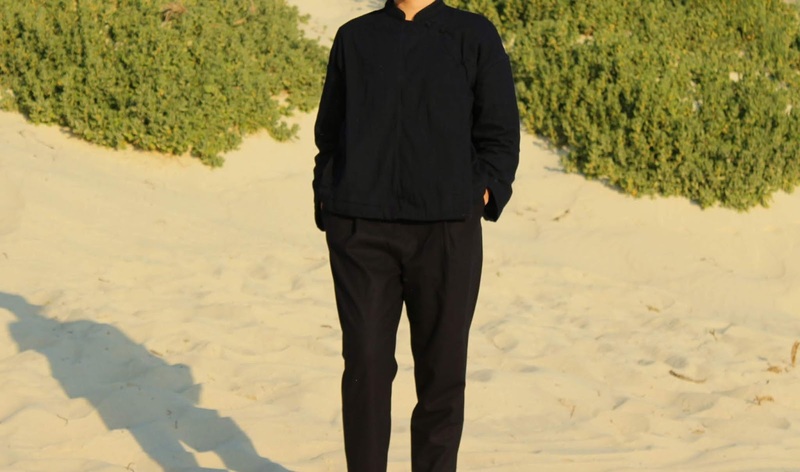 Most of Bassike's pieces are loose-fitting and slightly sack-like (in a good way) and the collections range from simple tees, to relaxed tailoring and utilitarian trousers that you'll keep on wearing for seasons to come. Shop Bassike here, or on Farfetch here. 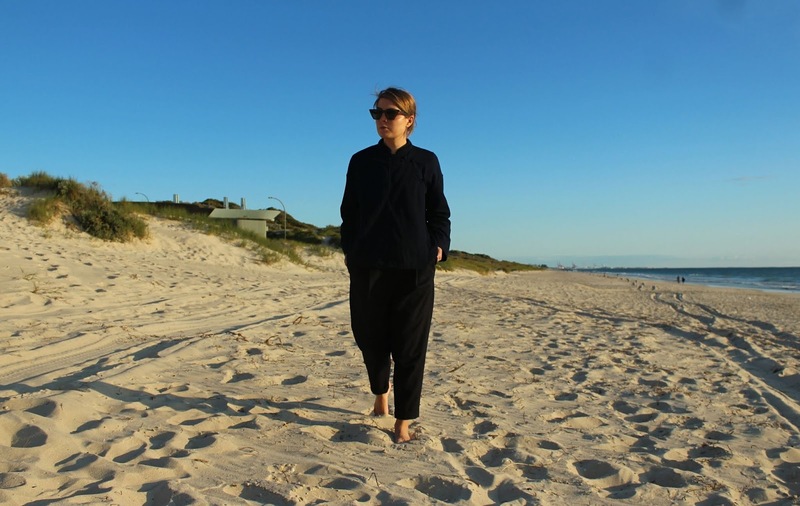 With each piece designed and made in Australia, Sydney-based Her Line is all about creating great clothing, locally. What started out in 2014 with swimwear, Her Line now has a ready to wear collection (and boasts a global cult following). It's that original swim offering that makes this brand so great though - founder Tuyen Nguyen favours pieces that flatter, frame and support the body, with designs that are pared-back and timeless. Shop Her Line here, or on Ssense here. Lucy Folk is another one I recently came across while living in Melbourne (although it appears I'm slow off the mark - the brand has fans in the likes of Leandra Medine and Pernille Teisbaek and has collaborations with colette Paris and more under its belt). Lucy Folk is renowned for its classic yet personality-filled jewellery and sunglasses, but also has some incredible dresses and kaftans for the ultimate in stylish beachwear. If you find yourself in Melbourne or Sydney, make sure to visit one of the brand's beautifully-curated stores. Shop Lucy Folk here, or on Net-A-Porter here. 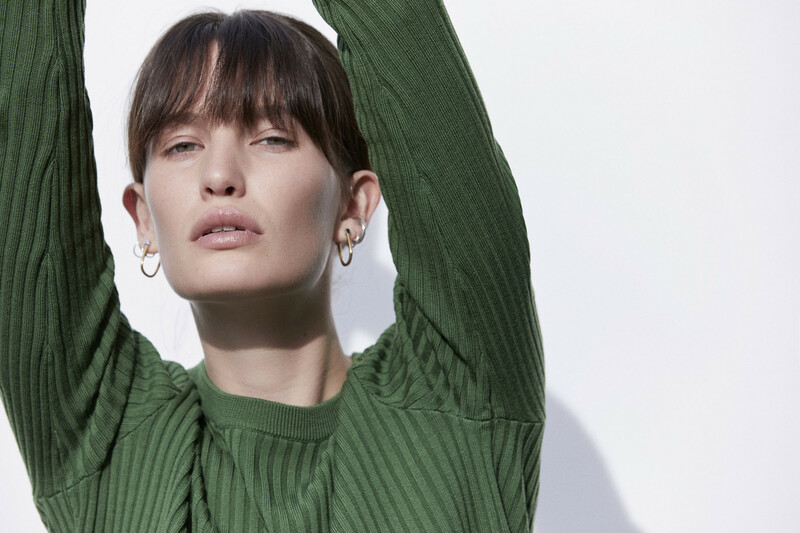 With a name like 'Matin', it's little wonder this Sydney-based label has a touch of French style - particularly inspired by '70s icons Jane Birkin and Brigitte Bardot. It's a subtle reference though, rather than a full-blown retro look, making this a label that is bohemian and refined in equal balance (no mean feat). If you like loose, slightly tailored pieces (I'm talking wide leg trousers that sit at the ankle and long slip dresses with sturdy square necks and thick straps), Matin is the brand you'll want to return to again and again. Shop Matin here, or on The Iconic here. It's a bold statement (especially here in Aus), but Matteau has to be my favourite swimwear brand. Its collections are made up of high-quality designs that are simple, timeless and built to last, meaning no flash-in-the-pan trends that you'll tire of by the time next summer rolls around and no pieces that will become threadbare after a few washes. 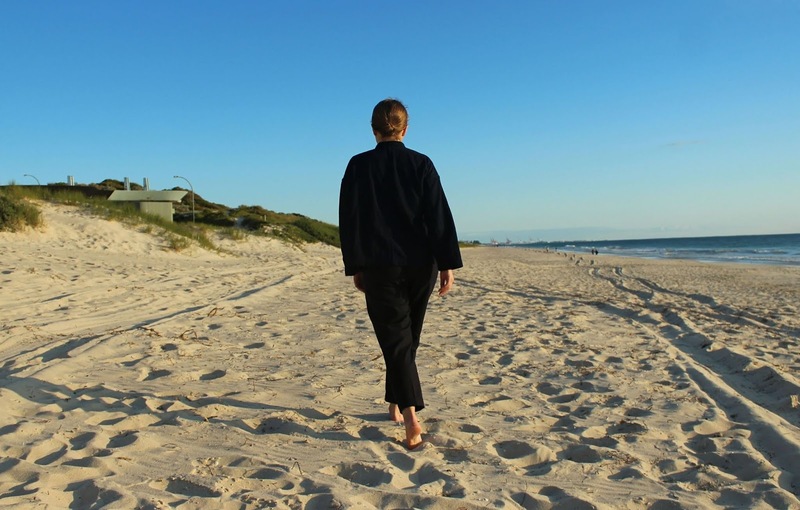 Matteau also creates some great cover-ups that you'll want to wear at the beach and beyond - think loose, slightly tailored cropped trousers rather than the ubiquitous see-through kaftan. Shop Matteau here, or on Matches here. My first encounter with ST.AGNI was at the brands' beautiful little store in Byron Bay, where I picked up a pair of tan leather Yuka slides (and almost haven't taken off since). 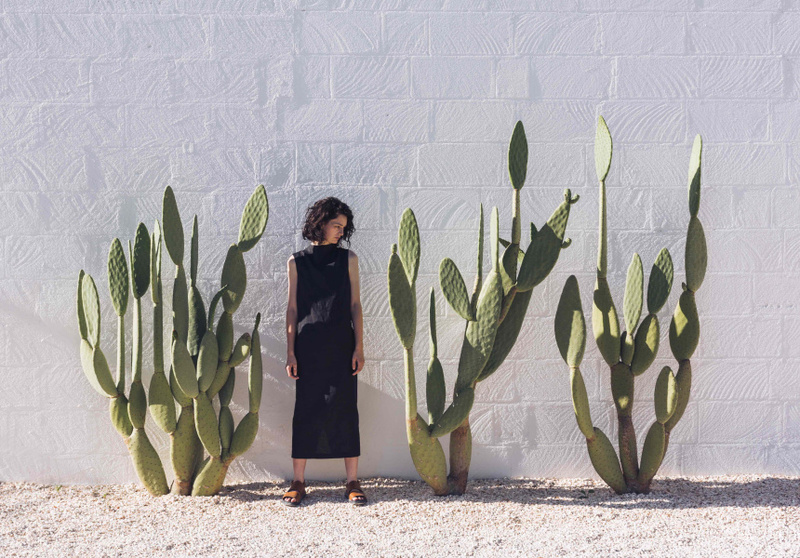 ST. AGNI's simple but beautiful slides and sandals are the stuff of holiday wardrobe dreams (I've got my eye on a pair of woven loafers), while clothing mainly takes the form of breezy linens in neutral shades. Shop ST. AGNI here, or on Net-A-Porter here.